In the previous post, we have seen how to generate multiple files using with_sequence and loop features. Here, we will introduce the delay functionality in the loop feature. This will give a pause after every iteration. So, each file will be created at specific time interval. Let's say, we will create 20 files at 10sec time interval. For this we will use with_sequence and loop features. with_sequence would allow us to generate a list of numbers and loop feature would allow us to iterate of the lists. Job is to create a list of filenames and use that list to create multiple empty file. The first task would first make sure that the directory is present. If not this would create one. The second task is to create three files with name "fruitsList", "censusReport", and "countryList". The above playbook can also written in following way. This can be achieved using with_sequence feature of ansible. This playbook would create 10 files with the names file1, file2, ..., file10. Explorer the official documentation for more info. Manually adding ansible_host inventory file, if NOT present. In computing, Ansible is an open-source software provisioning, configuration management, and application deployment tool. It runs on many Unix-like systems, and can configure both Unix-like systems as well as Microsoft Windows. If you are installing ansible using pip or any other manual process, first check if "ansible" directory is present inside "/etc"
if not, here is the steps you can follow to add ansible_host inventory file. This inventory file mainly keeps the inventory of detail information regarding all the host machines. Click here for more information from official source. ping command is basically used to test the reachability of a server. Ansible allows you to ping multiple servers or a group of servers at once. It is assumed that, Ansible tool is already installed in your linux system. In this method no playbook file is needed to create. If ansible_host file is not present, click here for the steps to add ansible_host file. JSAC Submission Error: "Upload failed: One or more fonts are not embedded." This is a very common problem that JSAC needs to fix. Lets say we generate the PDF by using some Latex editor such as TeXstudio. 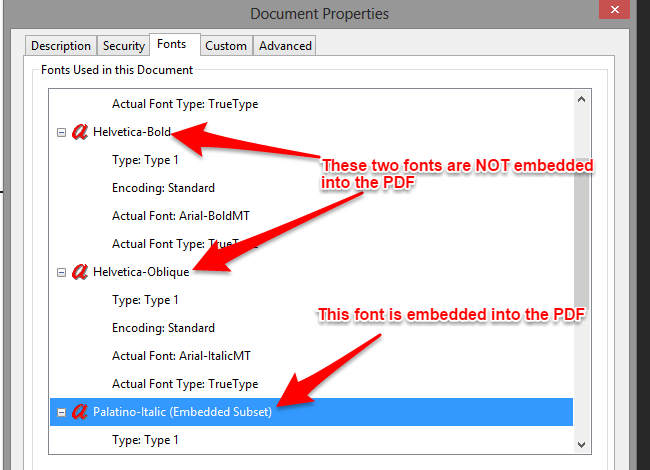 By default the all the font are not embedded to the PDF itself. This is to keep the PDF size small. Embedding all fonts is not necessary because some fonts are common to all modern OS. So it does not make sense to embed all the fonts in the PDF itself. 3. Click on "document properties." 4. Click on "Font" tab. 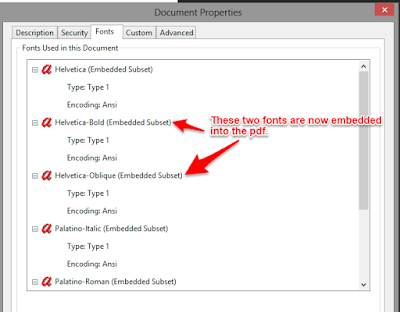 But, the EDAS system, through which we usually submit the manuscript, expect all the fonts to be embedded into the PDF. change the current directory to the directory of PS file. 3> Give the ps file name and the output pdf file name. 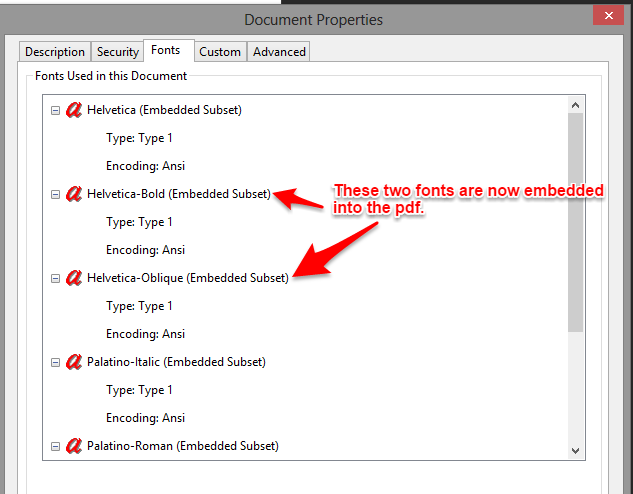 Now in the new pdf file, you can see the embedded fonts.